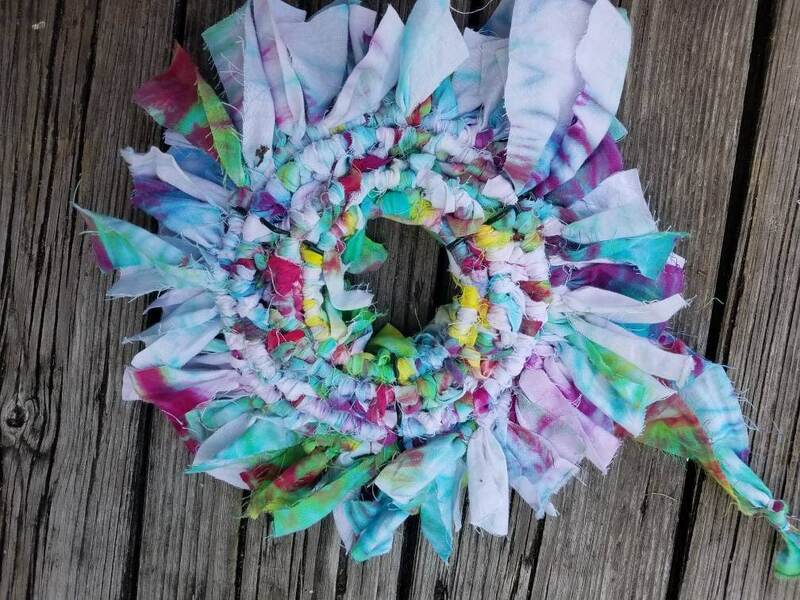 Spice up your doorway with a fun hand dyed tie dye wreath. 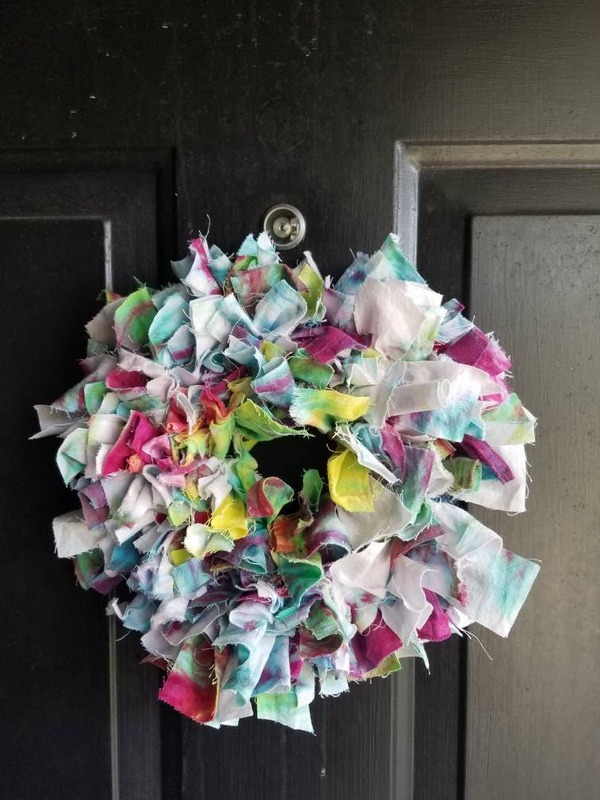 Made from cotton tie dye scraps and a metal wreath frame. The wreath is made to look shabby chic. 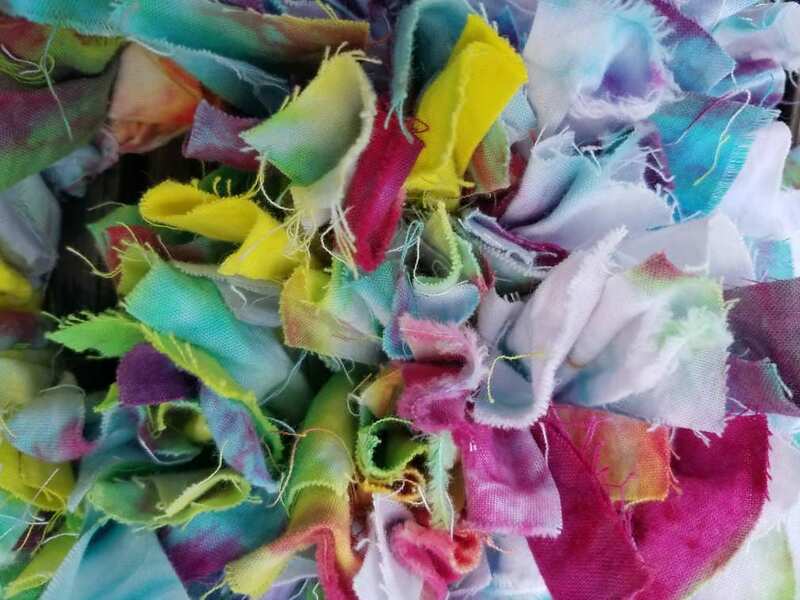 Frame measures 6" but the fabric makes the wreath about 9" in diameter. 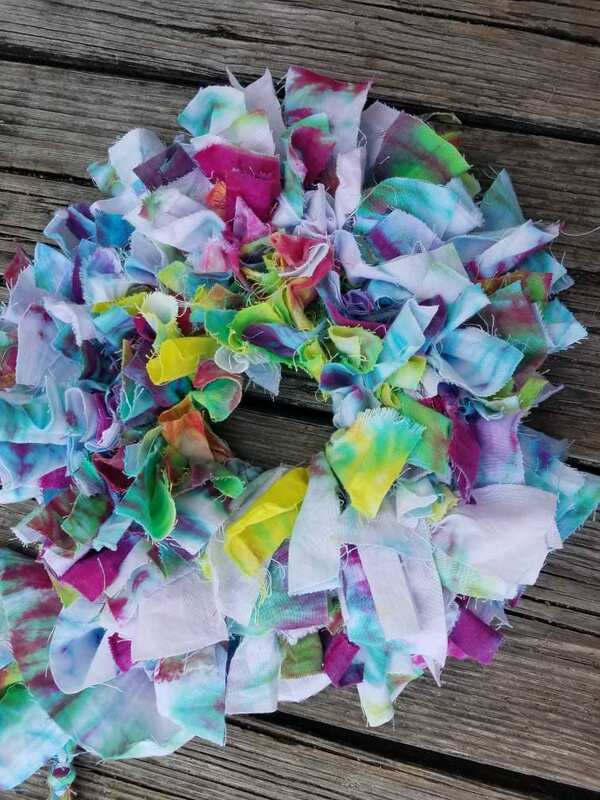 There are places on the frame to hang the wreath but I have also tied on a 19" tie dyed strip of fabric that you can adjust or take off and make into a bow if desired.